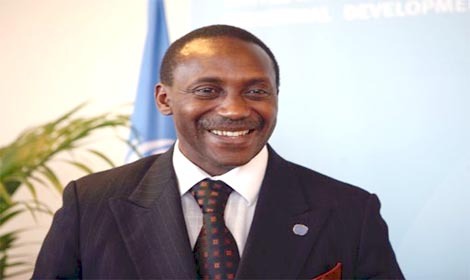 Last week, Dr. Kandeh Yumkella announced his resignation as the CEO of SEA4All, after almost twenty years serving the United Nations, to return to his native land – Sierra Leone. Kandeh is now expected to take on the leadership challenge of turning round the country’s economic and political crisis that is fast threatening the country’s hard won peace. But first, he will need to help defeat a deadly enemy – Ebola, whose poisonous tentacles have spread across the capital Freetown and the northern regions, with an alarming stranglehold. Whilst many in Sierra Leone and outside the country have been expecting Kandeh to pitch tent with the ruling APC party, which is led by his friend Ernest Bai Koroma, he has surprised most pundits and defied expectations by revealing his opposition SLPP party membership. Furthermore, Kandeh declared on a live radio broadcast in Freetown last Friday that he will be standing for the presidential candidacy of the SLPP at the party’s convention, which is expected later this year or early next year. Dr. Yumkella is regarded as the strongest and most likely opposition candidate to succeed in dislodging president Koroma and his now discredited and beleaguered ruling party at the presidential and general elections in 2017. But policy analysts believe that Kandeh’s success would very much hinge on the choice of a presidential running mate within the opposition SLPP, who it is thought must come from the south-eastern half of the country. Likely contenders for Kandeh’s presidential running mate includes – former president Julius Maada Bio, Alie Kabba, Andrew Keili (Photo – right), and Bernadette Lahai – leader of the SLPP party in parliament. 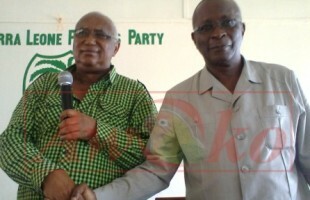 But the battle for the SLPP presidential flagbearship will be tough and quite acrimonious, as old guards of the party, such as John Oponjo Benjamin (Photo – left) throw their hats into the leadership ring. 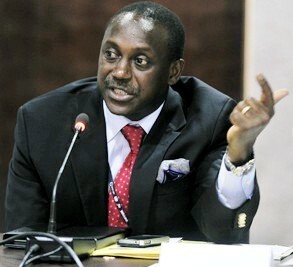 Kandeh Yumkella has another four months to wrap up loose ends with his former employers – SEA4All, before returning to Sierra Leone. 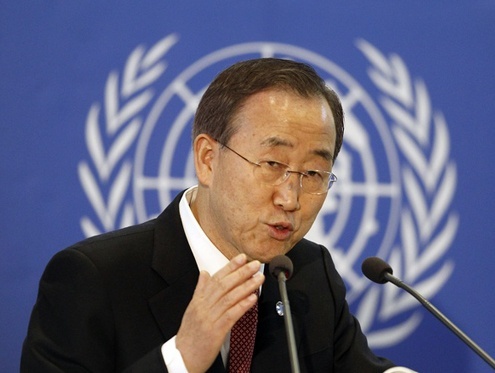 A few months ago I informed the Secretary General that I would like to step down as his Special Representative and CEO of Sustainable Energy for All as of July 2015. He has now graciously accepted my request and the announcement will be made soon. It has not been an easy decision to end my 19-year career serving humanity under the auspices of the UN system, including as Director General of UNIDO. But I believe it is now time for me to go home to serve my people in Sierra Leone. It has been an honour and privilege to work with many colleagues at the UN and across the world, and to be elected twice as director general of a UN-Specialized Agency. I have learnt a lot along the way, especially being part of the Chief Executives Board of global leaders dealing with the most formidable challenges facing the community of nations, from poverty and inequality to human rights, climate change and other causes of vulnerability and insecurity. As a member of the CEB, one of the momentous challenges was to deal with the global food, fuel and financial crisis in 2008 – the worst global economic meltdown since the 1930s – and to play an active role in the process of defining a new inclusive and transformative global development agenda to replace the Millennium Development Goals. I am grateful to the Secretary General for granting me the opportunity to chair and lead UN-Energy, the Advisory Group on Energy and Climate Change (AGECC), the Advisory Group on Sustainable Energy for All, and now to serve as SRSG/CEO for SE4All. It has been an intense and uplifting experience to play a part in putting the goal of universal access to sustainable energy in its rightful place as a central pillar of the sustainable development agenda. I was present through the conception and birth of SE4All, and it has been a privilege to help guide it to where we are today, on the cusp of achieving a sustainable development goal for energy. Thank you for your support on this journey, and your wisdom. I’m also happy to see the Deputy Secretary General and the SE4All Executive Committee (under the able leadership of Mr. Chad Holliday) oversee the transition process to a new leadership and robust longer term institutional arrangement for the initiative. We have set up a selection panel to recruit a new leader for SE4All. I have no doubt that the initiative is in fine hands and will continue to go from strength to strength. It is a vision whose time has come, demonstrating in very practical terms that achieving universal energy access and mitigating climate change are not mutually exclusive goals, but can be part of the same, coherent solution. 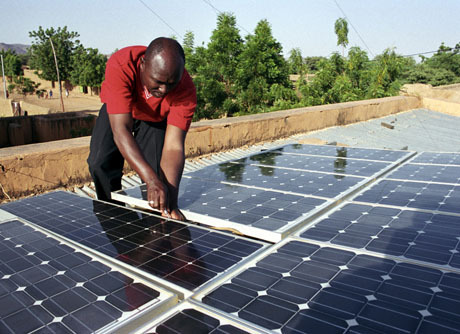 Almost three years after world leaders at Rio+20 declared that “we are all determined to act to make sustainable energy for all a reality”, 2015 provides an historic opportunity for SE4All and all of us to be drivers for change to achieve the future Sustainable Development Goals and climate change agreements. SE4All is already engaged to support relevant processes, including the post-2015 deliberations, Financing for Development, G20 efforts and COP 21. Our annual UN Sustainable Energy for All Forum will provide a platform to spread our vision, share innovations and inspire all stakeholders to take bold actions. There’s a saying that it takes a village to raise a child. I like to think we’ve been that village, together raising Sustainable Energy for All to become a strong, mature voice in the world, one that can galvanise real action to improve lives. Individuals come and go, but the village carries on. Under your guidance, and with the dedication of its small staff and huge network of partners, I know the SE4All movement will continue to grow and flourish.